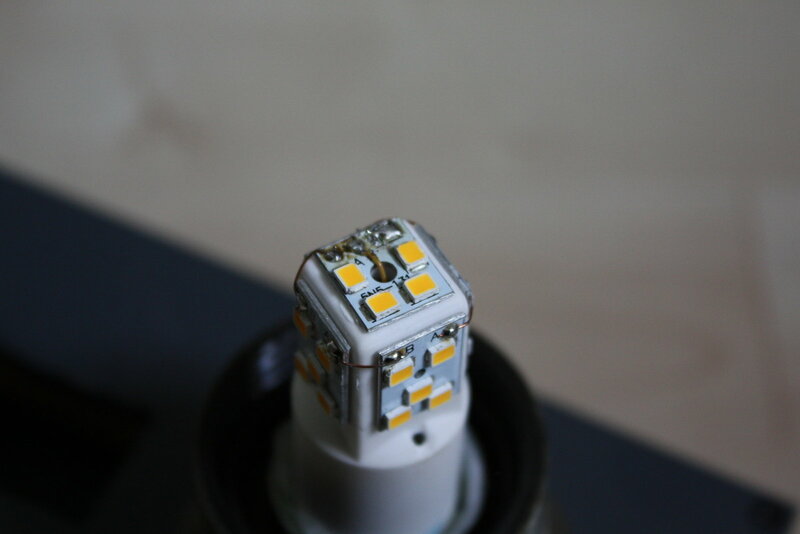 Although supposed to last forever (at least according to some producers and compared with traditional filament-based light bulbs), led lamps can die surprisingly fast. 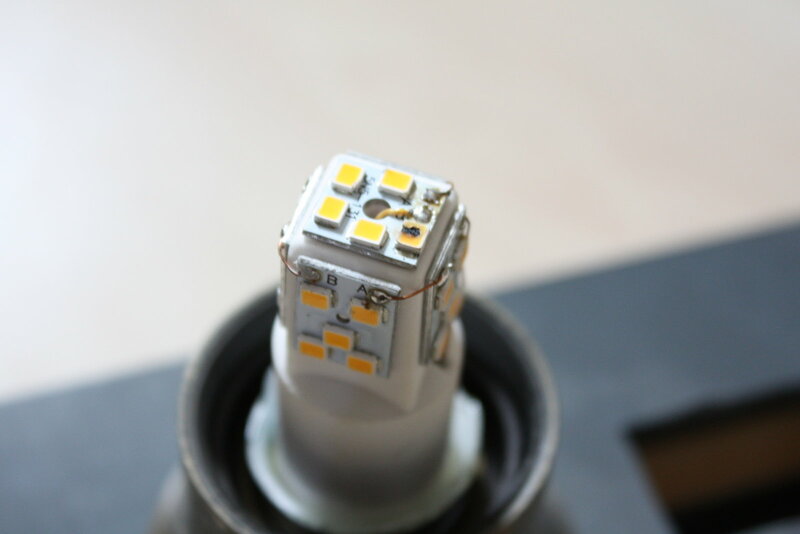 One of the main reasons for this - aside from the ubiquitous use of cheap low-quality parts - is the significantly higher number of single parts that make up such a lamp. If only a single capacitor or a single led dies a premature death (i.e. doesn´t reach its average mtbf -> mean time before failure) the lamp as a whole can stop working. 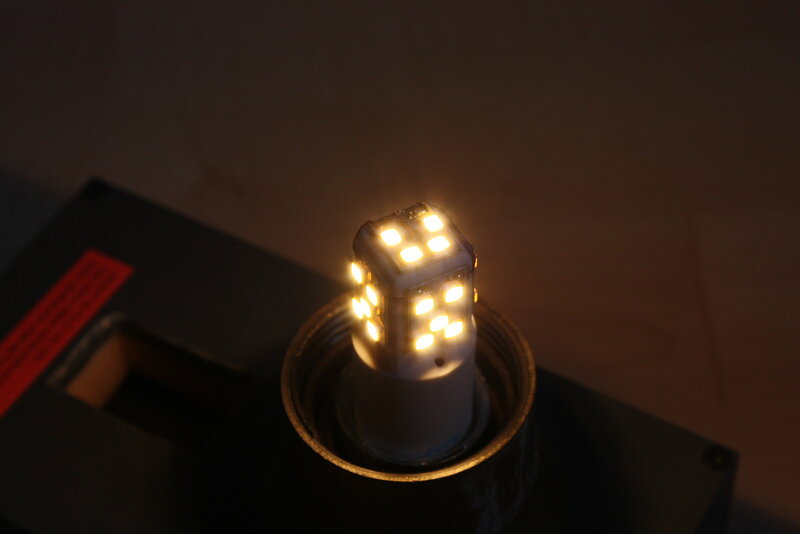 As an example, here a medium-priced of my led lamps that died when one of the leds died. The dead led lost almost all of its glorious yellow color - it just blew out. In this case the lamp was easy to fix (it is admittedly a dirty hack and the lamp can not be seen as perfectly safe afterwards) - I removed the dead led and I bridged the two contacts under it. As you can see the lamp works again - time to "re-bulb" it.